Nyren's Corner: 343 Industries is Fixing the Master Chief Collection, So What Else Do They Have in Store? The last time that Halo: The Master Chief Collection was updated was in 2015. Since then, developer 343 Industries has been silent on the MCC front. For those not aware, the Master Chief Collection was an extremely ambitious project in the early days of the Xbox One. The goal was to bring Halo: Combat Evolved/Combat Evolved Anniversary, Halo 2(Including a new Halo 2 Anniversary), Halo 3, and Halo 4 to the Xbox One, remastered in 1080p and running at 60fps, and this included online multiplayer for both Halo 1 and Halo 2. In the end, the project fell flat when it fell victim to a host of technical problems at launch. Not that it didn’t work, but it was extremely buggy and the matchmaking barely worked at all. It took approximately 3 months to get it to a passable state(The campaigns were mostly playable at launch save for a few annoying bugs. ), and even then not everyone benefited from the patches. As an apology from the developers, Halo 3: ODST was remastered and added to the collection. Since 2015 however, 343 Industries and Microsoft had gone silent on the status of the collection with many bugs left unaddressed. Fast forward to 2017 and it has been recently announced that the Master Chief Collection will not only receive further fixes, but also content updates and enhancements for the Xbox One X. In a statement on the Halo Waypoint forums, franchise developer director Frank O’Connor gave an explanation for the games problems and the studios silence on the matter. According to Frank, they made a lot of stupid assumptions during the development of the MCC that led to them not seeing the bugs that would inevitably turn up at launch. That was in addition to a fledgling Xbox One which was apparently part of the games problems. They patched the game with what were essentially band-aids and eventually they became too afraid to continue putting band-aids on it out of fear that it would burst and send them back to square one. It was basically a game of jenga. The only reason they are returning now is because improvements to the original Xbox One over the years, as well as the Xbox One X’s development, has given them what they need to produce the game they originally intended to give the public. If it weren’t for those two factors, this would not be happening at all. 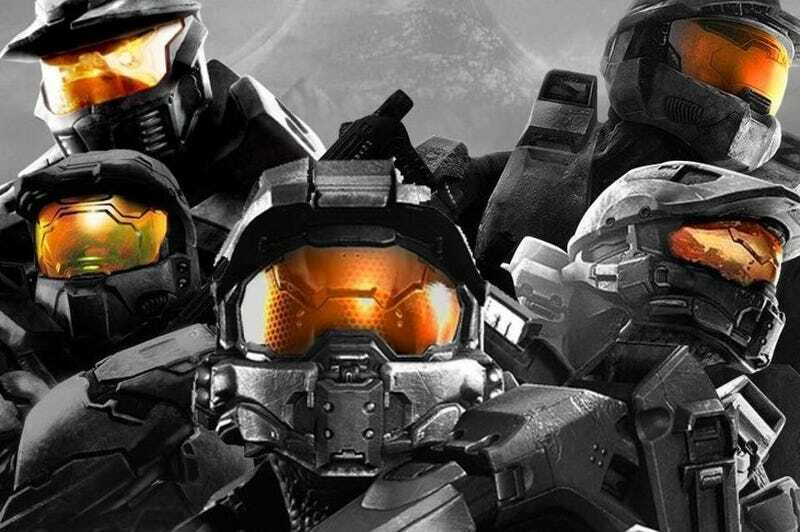 In general, the Halo community is overjoyed at the news that 343 is taking another crack at the MCC, though there are those who, understandably, are not too hopeful. I’m excited about it, but what has me more interested is what else they’ll be doing to the collection. In the initial reveal, 343 stated it would also be receiving updates and Xbox One X enhancements. The updates were mentioned separately from the fixes so I’m going off of the assumption that the two are not one and the same. To be clear, 343 is prioritizing the fixes over the updates and upgrades, and that this in no way effects Halo 6's development. For this article, I’m choosing to focus on what could happen after 343 is satisfied with the games structural overhaul. You may not agree with everything I come up with, but that’s fine. Now let me get this out of the way first: Yes, Halo 3's 10th anniversary has already come and gone. I’m just calling it “Anniversary” because it sounds better than “Halo 3 Remastered” especially since the game was, technically, already remastered. Now, you can argue till you’re blue in the face that Halo 3 looks fine as it is, and you’re not wrong. Thanks to Bungie’s great art direction, Halo 3 still looks great to this day. Yet, at the same time, there are areas where the games nature as an early Xbox 360 title are apparent. From the resolution of textures to the visible edges on characters and objects due to low poly counts. These things are made all the more obvious due to Halo 3's bump from a sub-720p resolution to full 1080p in the MCC. The significant boost in clarity makes these rough edges stand out like sore thumbs. And that isn’t even taking into account that as of right now, Halo 3 is technically the worst looking game in the original trilogy. Both Combat Evolved Anniversary and Halo 2 Anniversary greatly surpass Halo 3 visually, and going from Halo 2 Anniversary to Halo 3 can be a tad jarring, like going back in time. It feels strange for them to not at least finish the trilogy and leave the remasters at that, no more anniversary editions. With the failure of the MCC, it’s understandable that 343 would be hesitant to even consider a Halo 3 Anniversary. Their stated reason for not having one this year was due to diminishing returns, likely in reference to how far they could push the graphics since the game would likely still be financially viable. However, the Xbox One X changes that, widening the power the gap, and more recent statements(i.e. within the past 6 months or so. ), they didn’t rule out the possibility of returning to the idea after the games anniversary. So who knows, it may still happen and this would be a great way to reignite interest in the MCC. Also, keep in mind that most games start out with much higher quality assets that eventually get downscaled. Not saying there’d be enough to build an entire remake out of it, its usually not that extensive, but there might be some things they can recycle to speed it up. And as an addition, ODST could be updated as well since it uses the same engine and is a much smaller game than Halo 3. The image used is a bit of an extreme example, but it gets the point across. A basic remastering is what the games already received for being part of the MCC. A screen resolution increase to 1080p and a stable 60fps upgrade. That’s it. The only additional benefits given to the first two games were the somewhat upgraded textures and lighting of their PC versions and upgraded lighting and shaders for Halo 3 and Halo 4 that were already present in the games, just switched off. What I’m talking about for this is the next step up from that. It’s already a given that the games will likely receive HDR support if possible and further resolution increases to get as close to 4K as possible(Halo 2 Anniversary was originally sub-1080p so anything higher is a plus.). But I’d love it if, as part of the Xbox One X enhancements, the team went back in and upgraded the textures in the games to 4K textures(Note: Screen resolution and texture resolution are not related whatsoever. You can have 4K textures without 4K resolution.). Now, obviously there are possibly engine limitations that might prevent this, at which point I’ll yield. As they stand the games are fine, but it would be nice if the Xbox One X upgrades went beyond a simple remastering. This would also be a less expensive alternative for remastering Halo 3 rather than giving it the full anniversary treatment. The goal of the MCC was originally to bring all of Master Chief’s stories to the Xbox One in preparation for Halo 5. A refresher, if you will. However, that changed when ODST was brought into the game. It doesn’t feature the Master Chief, but it has connections to Halo 2 and Halo 3. Halo: Reach serves as the prequel that allows the following games to even happen(I still prefer the Fall of Reach novel, but a lot has already been said about the contradictions and subsequent attempts to connect the two over the years. ), and while it has been available as a backwards compatible title for some time now, it remains the only full Halo title to not be available natively on the Xbox One. Halo Wars was remastered, ODST was remastered and brought into the MCC, and Halo’s 3 and 4 were already available through the MCC. Might as well complete the collection by updating Reach and adding it to the MCC. Halo 3: ODST was the first Halo game to feature the Firefight survival mode and to this day it remains my absolute favorite. Due to being an ODST, you felt far more vulnerable, not as godlike, which made the whole experience more tense. Reach took things in a more arcadey direction and being a Spartan changes things. And Halo 5's Warzone Firefight is a different beast in its entirety. The main reason to bring back ODST’s Firefight mode is to complete the experience. As it stands, the MCC version is the most incomplete title of the five games since Halo 4 received its Spartan Ops mode via an update before those ceased. Not that there probably aren’t other missing game modes, but Firefight is probably the largest glaring omission. And there you have it. That’s what I would want to see added to the game once they finished fixing it. Obviously, it’s not a one or the other scenario, but nor would I hope for all of that because that might be too much to ask. So now I’m curious, what would you all like to see added to the game?